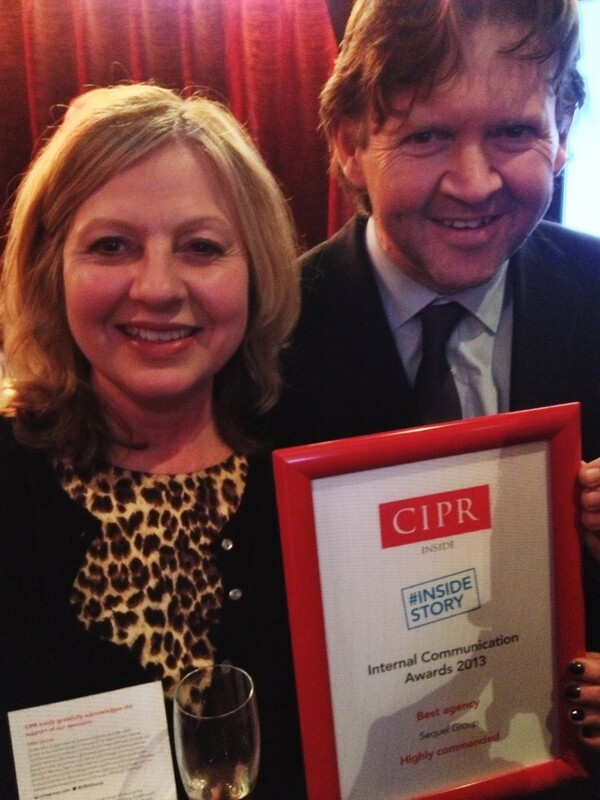 Sequel Group is celebrating a Highly Commended accolade in the first-ever Inside Story awards run by the CIPR Inside group. We won our award in the hotly contested ‘best agency’ category and were delighted to join organisations like Coca Cola Enterprises, Essex County Council and the NSPCC on the winner’s platform. The awards were presented at a champagne-fuelled event at the Hospital Club in Covent Garden, London attended by nearly 200 people, representing the great and famous from the internal communication industry. If you weren’t there on the night the live blog is here for a run down of the evening.